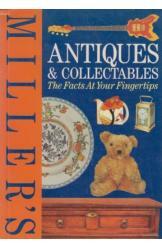 Miller's Antiques and Collectןbles, the facts at your fingertips by Judith Miller, 176 pages.. There are chapters on restoring, caring and displaying your collection and how to buy from auction houses, dealers, flea markets. In short a concise, fact filled book with numerous color photographs on each page.